Dan Kavanagh returns to hardback! Orion Publishing is publishing Dan Kavanagh's four novels as hardbacks in 2014 and 2015. Orion published Duffy in April 2014, Fiddle City in August 2014, Putting the Boot In in December 2014. Going to the Dogs will be available in April 2015. Paperbacks of each title will also be available. 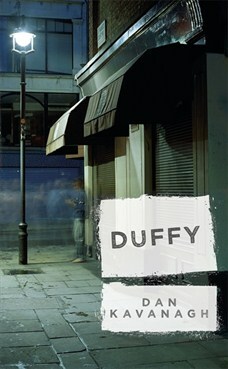 Read an excerpt from Duffy at the Orion website. President, Dan Kavanagh Fan Club If you like Dan Kavanagh, try Julian Barnes.